Why Outsource Your Medical Billing? | CIPROMS, Inc. Considering whether or not to outsource your medical billing? Once you have made the decision, are you confused about how to choose the best business partner? Let us help. For many physicians and medical practice managers, the choice to partner with a medical billing company like CIPROMS hinges on three main factors: cost, efficiency, and knowledge. Doing a side-by-side comparison of your costs using in-house medical billers and an outsourced medical billing company will help you determine whether to consider making a switch. Medical billing companies major in successful claims processing so that you and your staff can focus on patient care and work flow. Particularly, medical billing companies have the benefit of processing large quantities of claims for multiple clients, allowing them to implement high volume best practices that may not translate to a single office practice. When each member of the team is doing what they do best, your practice runs smoothly and efficiently. Medical coding, claims billing, denial management, and other segments of the revenue cycle are specialties all their own. Medical billing companies, like CIPROMS, have their finger on the pulse of the reimbursement industry, leveraging their knowledge for your practice . . . and profit. Does the medical billing company have the history and credentials to help you achieve success? Successful medical billing companies have a proven track record, including clients who are willing to provide references. Also, in order to keep up with the latest news about payer communities, government regulations, and best practices, effective medical billing companies affiliate themselves with professional organizations and other certifying groups. What specialties do your clients represent? What clients can I talk with about the success you have achieved for them? What certifications do your employees maintain? What organizations do you affiliate with? Does the medical billing company have services you want at a price you can afford? Not all medical practices have the same needs. Likewise, not all medical billing companies offer the same services. When talking with a potential medical billing company, be specific about the services you are looking for – don’t focus on the fees alone. Use our cost analysis tool for a high-level comparison for your practice. Will you provide coding services? Do you have flexible service models? Are you willing to work on our integrated EMR/PM system? How will you bill for our cash-only services? Will you treat our patients with dignity? Do you have dedicated account representatives? Are your fees designed to share risk? Does the medical billing company help you get your group and providers enrolled and credentialed with commercial and government payers? Setting up a first-time practice, making a switch to a medical billing company, or just maintaining the contracts and enrollment for your group and providers involves significant paperwork and knowledge. 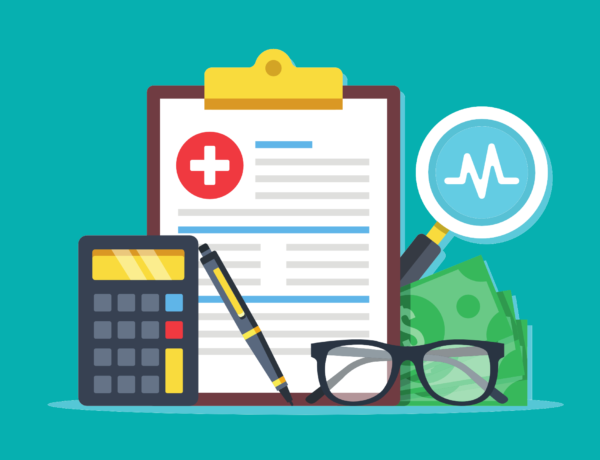 Choosing a medical billing company that can provide these services for you will keep your revenue stream consistent and your headaches at a minimum. Will you provide enrollment and credentiaing services? Will you process revalidations and other changes to paperwork? How long will it take to get providers ready to submit claims? What paperwork will I need to submit? Does the medical billing company have an efficient billing process? Technological advances have created minimum standards for efficient medical billing. Demographic and charge interfaces, electronic claims submission, claims scrubbing, electronic remittance of payments, electronic bank lock boxes, and online patient payment portals are just a few standard services that your medical billing company should provide. Additionally, services like chart reconciliation, eligibility verification, contractual payment auditing, denial management, and electronic collection agency transfers become standard for billing companies that maintain an ongoing technology plan and manage their billing staff and processes efficiently. Do you have the minimum technology standards, as listed above? What plans do you have to improve your billing process? What internal auditing do you implement to ensure you are maximizing revenue? Does the medical billing company provide financial reporting and other business analytics? The best way to manage your practice and anticipate future success is to monitor past performance through data transformed into information. Medical billing companies that provide relevant and dynamic financial and productivity reporting will help you with staffing, payer contract negotiations, physician payroll, and practice process improvement. Use our Medical Billing Comparison worksheet for a high-level overview of how CIPROMS compares with other companies you are considering in each of these five categories. What standard financial reports do you provide clients? What standard productivity reports do you offer? Can you customize reports for our practice? Choosing a revenue cycle management company that will be the best business partner for you takes thorough evaluation. CIPROMS wants to help you make the best choice. Want more information now? Please fill out the form below and someone will contact you to provide a quote and answer any questions you may have.